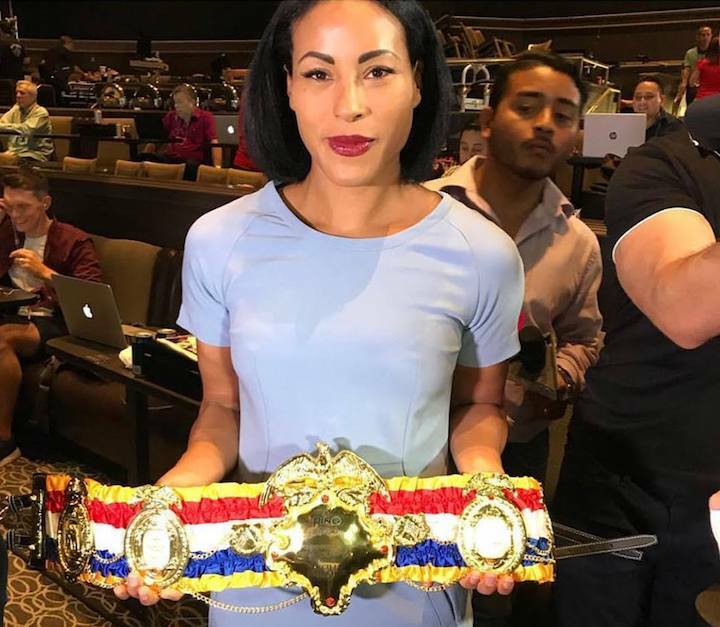 Undisputed Women’s Welterweight World Champion ‘The First Lady’ Cecilia Braekhus, (34-0-0, 9 KO’s) was honored on Thursday afternoon, September 13 with a presentation of THE RING Magazine’s Women’s #1 Pound-for-Pound Title Belt. The presentation of the first belt of its kind was made by RING Magazine’s Editor-in-Chief Doug Fischer in the Media Center for the World Middleweight Championship clash between Saul ‘Canelo’ Alvarez and Gennady ‘GGG’ Golovkin. “I am so happy and proud, and this is one of my biggest moments in boxing. I will do my best to prove that I am the best female fighter in the world and honor this belt,” said Braekhus. “If you see her fight, you don’t think, oh, she’s good for a woman. She’s just amazing. She’s a vanguard, a pioneer. As a female fighter, if you have dreams of turning pro, if you dream about being an undisputed champion, you look at her,” said Fischer. “Promoters are realizing they’re easy to work with,” said Fischer of women’s professional boxers. “They aren’t divas. They’re not asking you to break into Fort Knox. The ratings are good and they sell tickets. You’d be a fool not to (book them). It’s going to normalize it, it’s not going to be a sideshow like 20 years ago,” added Fischer.